Henrike Grohs was the head of the Goethe-Institute in South Africa. At fifty-one, she could never have imagined her life would have ended so dramatically by simply going to the beach. Could any of the 16 victims killed by terrorists in Grand-Bassam have imagined what was going to happen? And that it would happen to them? 32,658 people can. According to the Institute for Economics and Peace (IEP), that is how many were killed by terrorists attacks in 2014. Every person on this earth could experience it or be close to someone who will. 32,658 people, all around the world, whose lives stopped. Their friends, parents and loved ones know what it feels like to wake up with them gone. In 2013, the number of terrorism victims was 18,111. In 2000, it was 3,329. The threat of terrorism is increasing. 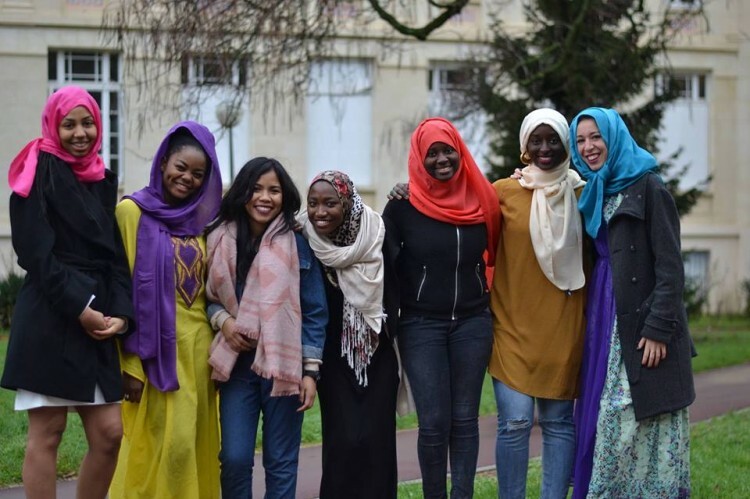 I came to France from Senegal after high school to study. I was in Paris during the November attacks and I realised with intensity how short life might be. We all know that life is not forever but we do not live each day with the awareness that it might be our last one. I remember calling my family and all my friends to be sure that they were safe. I remember my mum and my sister calling me, worrying. Many have pointed to Senegal as the next target of terrorists, but I am not more worried and sad than I am when I hear of news everyday of attacks from all over the world. Dakar is no more exposed than any other city because there isn’t any logic in the way terrorism operates. But also, we, ourselves, cannot be safe, wherever we are, if humanity as a whole is not. Each human being carries within themselves the DNA of the whole human race. Each human being is greater than a religion, a belief, a country or a specific situation. As such, I am not afraid of going back to Senegal. There is a particular verse in the Quran that I always remember every time I feel surrounded by anxiety. ‘Fear not. I am with you all the time’. The real danger is letting fear control our lives. In that sense, social media is making things worse. A lot of people my age debate and argue violently about religion: what is ‘halal’ or ‘haram’. But they are not experts in Muslim law. Google has made everyone a cheikh or a mufti. What’s the point in using up so much time and energy to debate sacred texts about which we might disagree while we can talk about love, respect and personal fulfilment and that of others, tolerance, compassion, celebration of difference, acceptance, harmony, cooperation, recognition of life as sacred and the protection and preservation of that life? Campaigns with the hashtag ‘I am a Muslim and I am not a terrorist’ aren’t helpful. The media often gives terrorists the platform they desire, as if they’re more significant than they are. Representation – and how that representation will shape imagination and enhance negative feelings instead of constructive ones – is also part of the problem. Campaigns with the hashtag ‘I am a Muslim and I am not a terrorist’ aren’t helpful. Terrorism is not a Muslim issue. Those campaigns are a rebuttal to those that paint Islam as violent. This may be meant as a defence but in doing so, they crystallise the whole debate around what Islam is or not. This ignores the wider perspective which would allow us to understand the situation better. The danger of increasing insecurity all around the world is real and terrorism must not become an abstract concept. In West Africa, we have to find a way to talk about it without painting the situation as ‘the new rule’. But it is easy to make change happen. Every time a person smiles to another, or laughs, or loves, or works hard sincerely, or talks with passion… Every time a person tries to make another person happy or tries to give the best of what she has, love wins because she gives the ascendance to the good, to the right, to the light instead of to the bad, wrong or dark. Every time we remember our victims with love and dignify their humanity in showing the best pictures of them to the world instead of the horrible ones that the terrorists want us to remember, we are making love win. Each human being is greater than a religion, a belief, a country or a specific situation. We are mirrors of each other. Indeed, how can you love The Creator without loving His creations? At the end of the day, it’s all about love. I like to learn about Sufism, which is the celebration of love in all its form. The Sufi way calls to make love so powerful in our heart so that we can try to fully live our greatest love story: the one we have with our Creator. Indeed, how can you love The Creator without loving His creations? How to serve the Creator in destroying what He, himself, cover with love, mercy and compassion? I cannot understand how the solution can be so simple yet how tough we are making it as human beings. Let God handle His own business and let us focus on giving the best of what we have in order to do better.